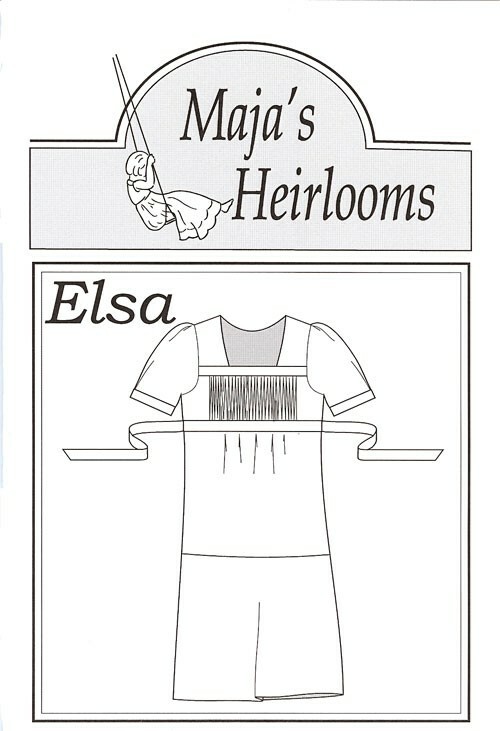 Elsa is a top or dress w/a gathered or pleated bodice. The bodice is bordered along the top & bottom w/a band & has a slightly gathered skirt. A tie in the back gives a fitted look to this pull over style top/dress. The sleeve is tailored w/a box pleat at the cuff & is slightly gathered along the cap.